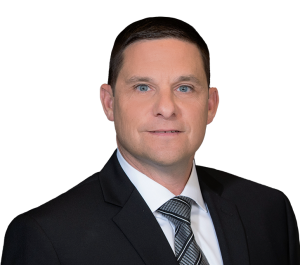 Attorney Jason A. Daria secured a $6.5 million settlement just 10 days before trial for the family of a 36-year-old man who was killed in a tractor-trailer accident that occurred near Harrisburg, Pa. The defendant tractor-trailer driver was driving at speed of 72 mph and failed to reduce his speed for a curve on an overpass, where the posted speed limit was 50 mph. The defendant truck driver lost control of the tractor-trailer and it flipped onto its right side, spilling cargo (pallets of paper) onto the highway below. Some of the pallets fell off the overpass and struck the decedent’s van which was passing below. Daria established that the tractor and trailer involved had expired inspection stickers and that the defendant truck driver had not taken the hours of rest that were required by the Federal Motor Carrier Safety Administration (FMCSA) regulations. For these reasons, the defendant truck driver and his employer appeared to be the most culpable defendants. However, the case involved a developing area of law in that Daria also named the shipper, transportation broker, and the authorized motor carrier as defendants in the case. Daria sought to prove that these defendants breached a duty to retain a safe motor carrier and his investigation revealed that the motor carrier hired for the job had received poor safety ratings from the FMCSA. Daria established that the motor carriers involved had received unfavorable ratings from the FMCSA in the areas of driver safety and safety management. Daria maintained that the defendant shipper and broker should not have selected the co-defendant motor carriers for the job in light of their poor transportation safety record. In addition, he claimed that the defendant manufacturer/shipper had improperly loaded the trailer and failed to adequately secure the cargo, contributing to the accident. The manufacturer/shipper, broker, and both motor carriers contributed to the $6.5 million settlement.